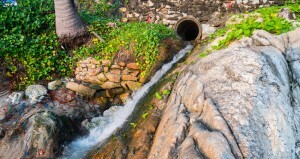 Few things are more frustrating than dealing with stormwater damage. An unforeseen leak can lead to rivers of water entering your house. Then, not only do you have to fix the leak, you have to contend with standing water in the home and the tremendous damage it can cause. There are, however, some steps you can take to mitigate the effects of water damage. Alpharetta can fall victim to intense storms from time to time. Here are some steps you can take to prepare yourself. Your roof can become damaged by tree branches that scrape back and forth in heavy winds. When the shingles break down, leaks can occur. Make sure there are no branches within six inches of your roof. Also, trim the nearby trees and remove any dead branches you see. Loose branches as well as other bits of detritus that might populate your yard are liable to become airborne in heavy winds and should be cleared. Check that all loose furniture and outdoor appliances are secure, and before any storm arrives, remove any outdoor decorations that could become projectiles and damage your home. 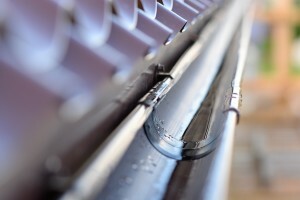 No one likes to do it, but your gutters should be cleaned on a regular basis. Gutters are there to channel rainwater away from your home, and if they’re clogged, they won’t be able to serve that function. You should have gutter extenders on the ground floor and divert the water away from your home as well. If you don’t have those in place, install them before the next storm arrives. Sealant leaks are some of the leading causes of storm damage. Check the areas around all roof penetrations—such as the chimney and skylights—for rotting sealants and replace them if necessary. Also, double check around your windows, doors, and siding, and seal any crevices you might encounter with caulk, silicone, or tar. During the winter months, water can freeze onto your roof, blocking your attic’s ventilation. This can result in the formation of ice dams that can allow water to penetrate your shingles, causing damage and, potentially, hazardous leaks. It may be necessary to consult with experts in water mitigation in Atlanta to see if your attic ventilation is a cause for concern. Familiarize yourself with your utility lines. A bad storm is hard enough to endure without having your power go out, so make sure the lines that enter your home are clear from nearby bush and tree branches. Purchase surge protectors for your major appliances, so you’ll be safe from the effects of any lightning strikes. How often do you check your sump pump? Well, there’s no time like the present, so take a look at your sump pump, and raise the float to see that it’s working properly. Make sure the battery still has power and keep a spare one around in case of emergencies. When it comes to preparing for the effects of stormwater damage, an ounce of prevention goes a long way. Following these simple steps will keep your house safe and give you the peace of mind you’ll need to survive the winter months. If you’d like to learn more, contact the experts at Integrity Restoration & Remodeling Contractors for more information.